As an entrepreneur, Doreen Patrick brings over 15 years of business support services to her company, Virtual Business Partners. Doreen founded Virtual Business Partners in 2006 as a solution for companies and business owners seeking specialized sales, marketing and administrative support. Within its first year, Doreen had successfully built her business to a full time practice. 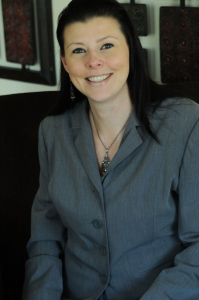 Along with Doreen’s business experience, she has a Bachelor’s degree in Psychology, an Associate’s degree in Business Management, a Paralegal Certification, and a university level Associate, Customer Service insurance designation through LOMA (Life Office Management Association). In 2006, Doreen was nominated for the 2006 Administrative Excellence Award, sponsored by OfficeTeam™, Working Mother Magazine™, IAAP™, Targeted Learning Corporation™ and Microsoft Learning™. In November of 2013, Doreen became a Certified Coach Practitioner in order to bring a higher level of service to her clients. In November of 2014, Doreen became a Certified Internet Marketer through the renowned Internet Marketing Association. In 2018, Doreen became a Certified Virtual Assistant with Coaches Console. In April of 2009, Doreen was awarded the prestigious Business Entrepreneur Award from www.vanetworking.com, the largest on line virtual assistant organization. Doreen also served as an Executive Board Member from 2006 – 2008 for the Woodridge Chamber of Commerce. Virtual Business Partners is also a member of the International Virtual Assistants Association, the National Association of Executive Assistants, Virtual Assistant Forums, Virtual Assistant Networking Association and the Financial Planning Association. Fun fact: Avid lover of building websites in WordPress and Infusionsoft! Personal lover of ice hockey, go Chicago Blackhawks and the Robert Morris University Eagles hockey team (#12 my son!). In November of 2014, Doreen became a Certified Internet Marketer through the renowned Internet Marketing Association. In November of 2013, Doreen became a Certified Coach Practitioner in order to bring a higher level of service to her clients. In April of 2009, Doreen was awarded the prestigious Business Entrepreneur Award from www.vanetworking.com, the largest on line virtual assistant organization. In 2006, Doreen was nominated for the 2006 Administrative Excellence Award, sponsored by OfficeTeam™, Working Mother Magazine™, IAAP™, Targeted Learning Corporation™ and Microsoft Learning™. In December 2015, Doreen became a Certified Infusionsoft Partner. 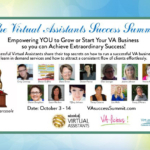 Featured expert in the October 2016 Virtual Assistant Success Summit. 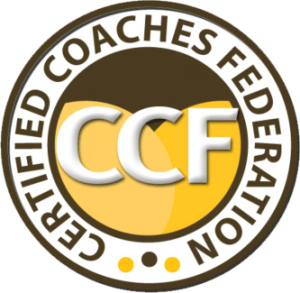 In October 2018 became a Certified Virtual Assistant with Coaches Console. Thoughts on Virtual Collaboration: Perfect Client or Perfect Support? Can You Afford a VA to Support Your Emerging Business? Download - 3 Tips to Generate Higher Online Conversions! You will also receive my monthly newsletter and blog updates full of tips and resources!